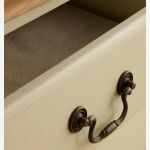 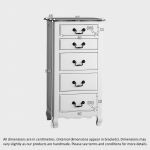 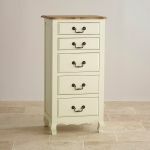 With three deep drawers beneath two smaller drawers, the Bella Brushed Oak and Cream Painted tallboy provides a practical and stylish storage solution when floor space is limited. 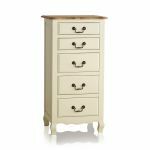 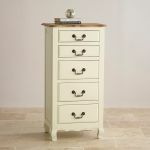 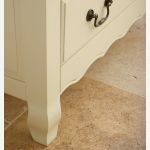 Harmonising with other items in the Bella Brushed Oak and Painted range, this elegant chest of drawers bears the decorative skirt, carved feet and ornate-edged top that enhance its beauty. 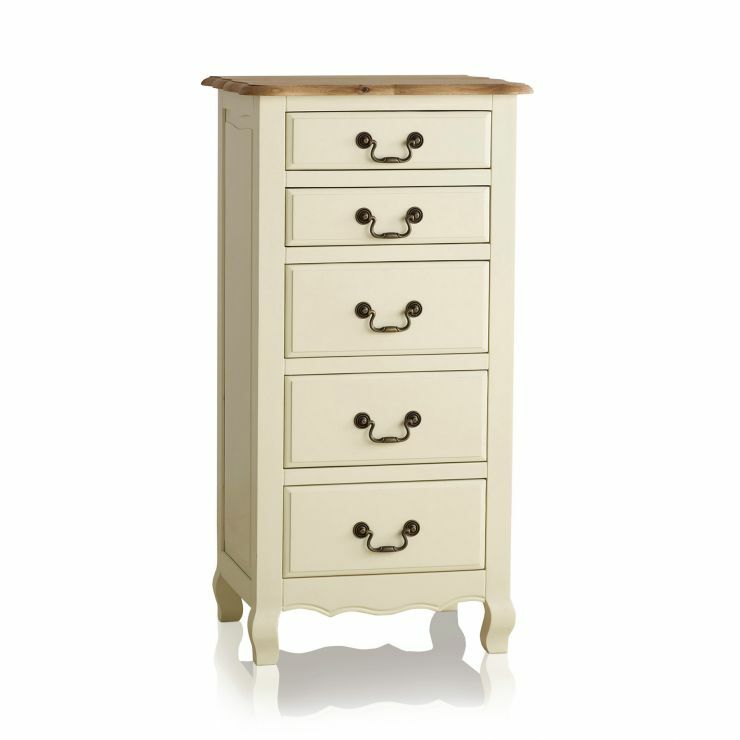 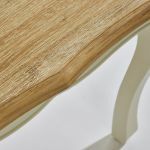 The cream painted body and brushed natural oak top add brightness and the feeling of space, even in a dark corner.